While ours was the standard afternoon tea (well, accompanied by a cranberry tea cocktail), Le Salon was hosting a special Mardi Gras that upcoming weekend. Aside from the Mardi Gras tea, Le Salon has several themed afternoon teas throughout the year such as Superhero, Princess, Mad Hatter, Halloween and Prohibition, where any accompanying cocktails are served in true Prohibition style — in tea cups. Themed afternoon teas seem to be gaining popularity, particularly in London. The Rosebery Lounge at the Mandarin Oriental hotel in London is offering a “wickedly good” afternoon tea for fans of the musical Wicked. The tea features classic teas and sandwiches but has desserts such as Glinda’s sparkly shoe on a matcha and hazelnut finger or Bad Witch’s vanilla broom biscuit. To celebrate the opening of the hit musical Hamilton at the nearby Victoria Palace Theatre, The Lanesborough has created a special Alexander Hamilton Afternoon Tea with a range of treats inspired by the Broadway phenomenon. 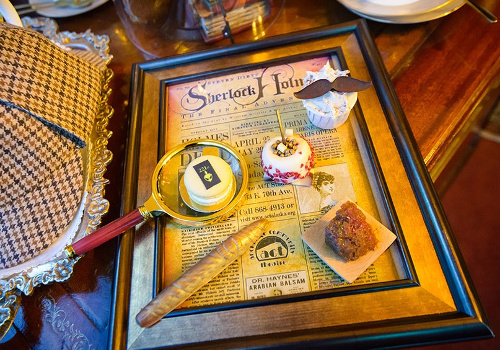 Kona at Taj 51 Buckingham Gate has taken a different approach, introducing a Sherlock Holmes Afternoon Tea, which offers a selection of savoury and sweet treats honouring the famous detective such as a Baker street pie and Mrs Hudson’s pudding. There is also a River Thames Afternoon Tea Cruise, that allows riders to experience a classic tea while viewing riverside landmarks, as well as an Afternoon Tea Bus Tour, where riders can enjoy tea, treats and sandwiches while riding in a London red bus visiting historical and modern sights around the city. New York City is one of the best places for afternoon tea, with offerings ranging from refined and elegant to cozy and kitschy, and even children-oriented. Tea & Sympathy, for example, has a classic British style, while Lady Mendl’s Tea Salon, which is housed in a brownstone, has a true Victorian theme, and the Russian Tea Room is quite opulent. If you’re looking for something more zen, the Cha An Teahouse, offers a Japanese-style tea. And for the children, there’s the Alice in Wonderland-themed Alice’s Tea Cup (with a large selection of caffeine-free fruit teas) and Eloise Afternoon Tea at the Plaza, where children can choose tea or tea/soda beverages such as chamomile ginger ale (there’s also an adult tea in the famed Palm Court). With tea consumption still lagging production, it’s necessary to increase tea consumption occasions. 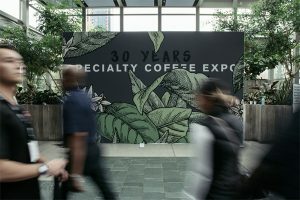 Themed afternoon teas are not going to send consumption numbers soaring, but they are fun ways to entice consumers who may not be traditional “afternoon tea goers” to try the sophisticated, yet relaxing experience that is afternoon tea, while offering long-time fans, something new and different. And now, there seems to be a themed tea for everyone.